UK Key Opinion Leaders argued robustly and consistently for an early approach to the diagnosis of dementia without articulating uncertainties, risks and necessary ethical aspects of person-centred approaches to diagnosis. When first published in the BMJ the authors gave no competing declarations of interest despite evidence (in the public domain) that this was incorrect. The BMJ and GMC took no action. “by putting clinicians in the driving seat of any clinical ‎assessment will protect individuals against any inappropriate intervention”. Around this time, following a ‘summit’ on a Timely approach to diagnosis, the “Glasgow Declaration” was introduced. This enshrined human rights. The “Glasgow Declaration” has been signed by 153 policy makers (including 84 MEPs) from 25 European countries along with 205 separate organisations. I would suggest that this wider narrative might make an important PhD study. We can learn from history and sometimes it can save us from repeating previous misjudgements. 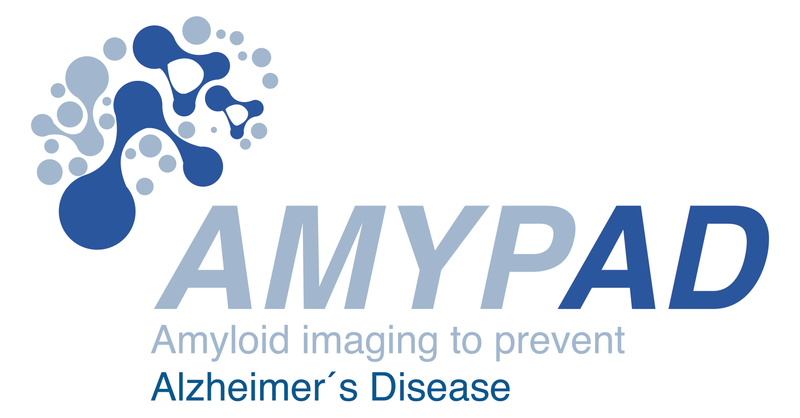 We all support research into the prevention of dementia. I certainly could not be more passionate about this. I argue, however, that it would be unhelpful if the public became even more confused between prevention and early diagnosis. As Professor Craig Ritchie acknowledges in a number of his Europe wide talks , even his mother does not understand the difference between “Alzheimers” and dementia. This is a most vivid representation of a difference in understanding between society and a “consensus of experts on disease” (many of whom have significant vested interests and whose careers have progressed as a result of such interests). We can all agree that science should be based on transparency. 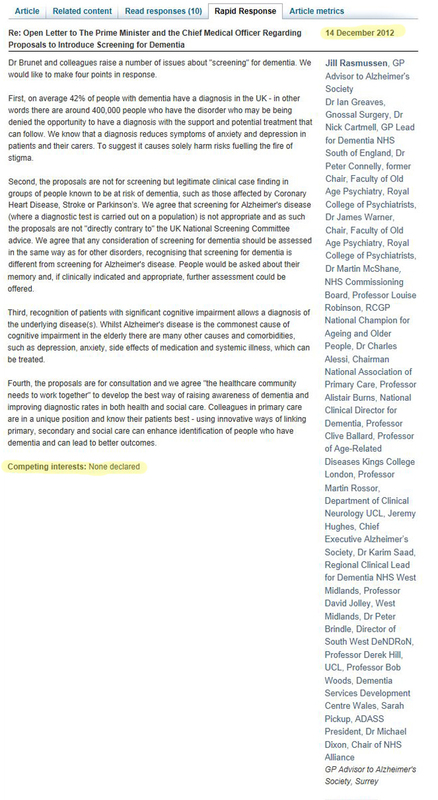 Yet there appears to be inconsistencies in declarations given by some of the experts involved in current Dementia research. In the UK there is no open, central register where it is mandatory for all financial interests to be declared. In Scotland the public have been consulted on this and the majority of those consulted agreed that it should be mandatory for all financial conflicts of interest to be declared on a public register. If research criteria are to be “operationalised” in the NHS I would suggest that it is important that we have full transparency and that any consensus includes a wider reach of members. Is the commercial sector back again in the driving seat?